This first piece was started by Mary Ann H., a contributor here at 15 Mins of Play as well as being a member of the Add A Border group over at Flickr. 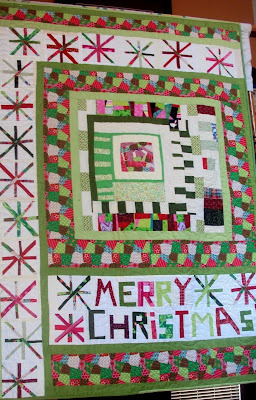 She made the starter for the ugly fabric challenge issued by Victoria a number of years ago and donated the block to the AAB group for the 2013 New Years Resolution Challenge. I received it and made my additions and unwillingly sent it back into the group, even though I really wanted to keep it. 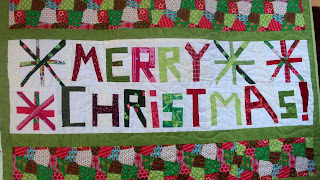 The next person, Heidi @ Red Letter Quilts added more and really did a great job keeping the mood and style of the piece. I luckily managed to get it back into my possession and I got to finish it very close to what I had envisioned. I felt a real connection to the piece and was so glad that it came back to me! 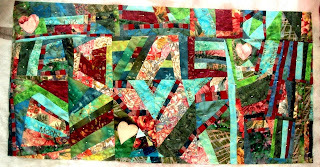 I am planning lots of big stitch hand quilting with various threads on this one. 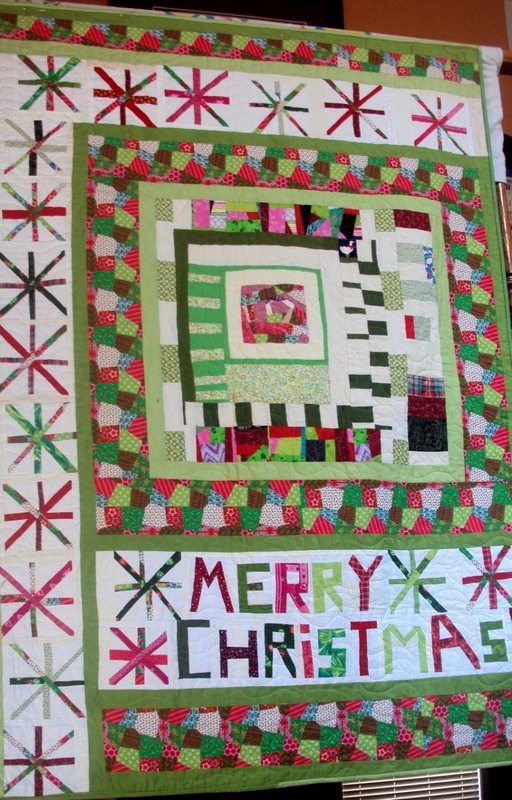 Wonky Xmas Cabin is another quilt resulting from the Add A Border group. This time I made the starter which I really did not like at all and sent it in to the group. As the others started adding rounds, I was very intrigued at the direction it was taking. When the group was done with it, I requested it and proceeded to add the crazy Christmas patchwork fabric that a friend had given me and challenged me to use! I love letters so I added them and then wanted to add some wonky snowflakes. 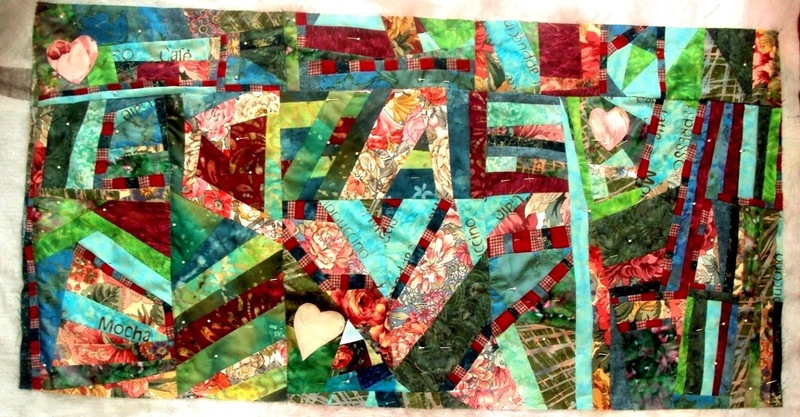 It was pure, liberated fun and I am so happy every time I look at this quilt!